The term referral is used when you have not met the pass criteria of a module and have to undertake re-assessment before the start of the next academic year in order to progress to the next stage of your course or gain your final award. Referred assessments can include anything from exams and coursework to in-class tests or practical assessments. Referrals for standard September start programmes are normally taken over the summer. 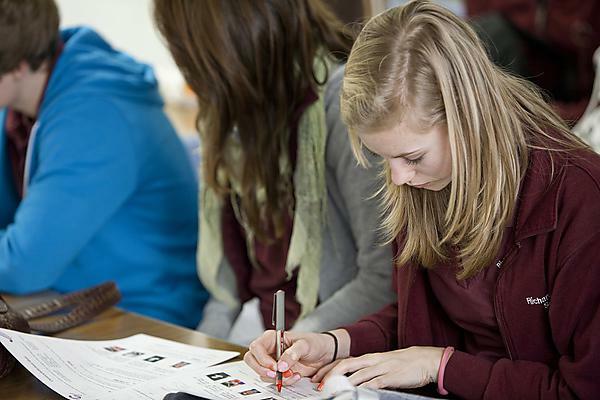 The referred work will normally assess all the learning outcomes for the failed element of assessment. For example the coursework element may comprise two assessments. Failure in the element may be due to failure in only one assessment, however the referral work will normally re-assess the learning outcomes of both components. If you have any referred examinations, you will need to check the referred examination timetable which is normally published in early August. Our important dates calendar lists the intended publication date along with the dates of the referred exam period. If you have previously been assessed as requiring modified examination provision your timetable will be emailed to your University account after the referred exam timetable has been published. Before sitting your exams it is important that you familiarise yourself with the information on the exams web pages. If you have to complete referred assessments such as coursework, an in-class test or practical, your faculty will send you details of how to download your referral tasks with your transcript of results. If you are unsure of anything or encounter any difficulties, you must contact your faculty office urgently. For some modules there may be more than one task so please ensure that you complete the correct task. Work must be submitted exactly in accordance with instructions in the referral task and we must receive all of your completed referral tasks by the formal deadline detailed in your transcript of results. If the required submission method is to hand in a hard copy of the work you can either do this in person or by post (email is not allowed). If you submit your referred assessment by post, please use special delivery, allowing sufficient time for delivery and keep a copy of your work plus post office receipt in case of postal problems. For electronic submissions, please do not leave it to the last minute.. Computer problems occasionally occur and cannot be used in mitigation for extenuating circumstances, plan your work taking into account the likelihood of minor disruptions. You will receive an automated email confirmation for each piece of work submitted. Please check with your faculty office if you do not receive one. If you do not wish to undertake the referred work during the summer referral period, you can request a repeat of your failed modules during the next academic year. This would involve you returning in September to take the failed modules in their entirety (not just the failed elements). All elements taken as a second or third attempt will be capped at the pass mark, normally 40% for undergraduate and 50% for postgraduate. You cannot take a mixture of referral over the summer and repeat modules during the next academic year. There may be financial and academic implications as you will normally be charged a tuition fee for each repeated module and you may not be entitled to a council tax exemption. For advice regarding student finance please contact UPSU:Advice. If you would like to repeat all your failed modules instead of taking them during the summer referred period, please contact your Faculty as soon as possible. The deadline for making this decision is normally mid-August, the date will be detailed in the information provided by your Faculty with your transcript. Referred results are published in September after the Referred Award Assessment Boards have met. The deadline for publication is detailed in the important dates calendar. You will be able to view your results online on your statement of results and a transcript will be posted to your home address. If you do not achieve your referred assessments you may be asked to repeat modules in their entirety over the next academic year. If your referral was as a final attempt you will not be permitted to take the module again.